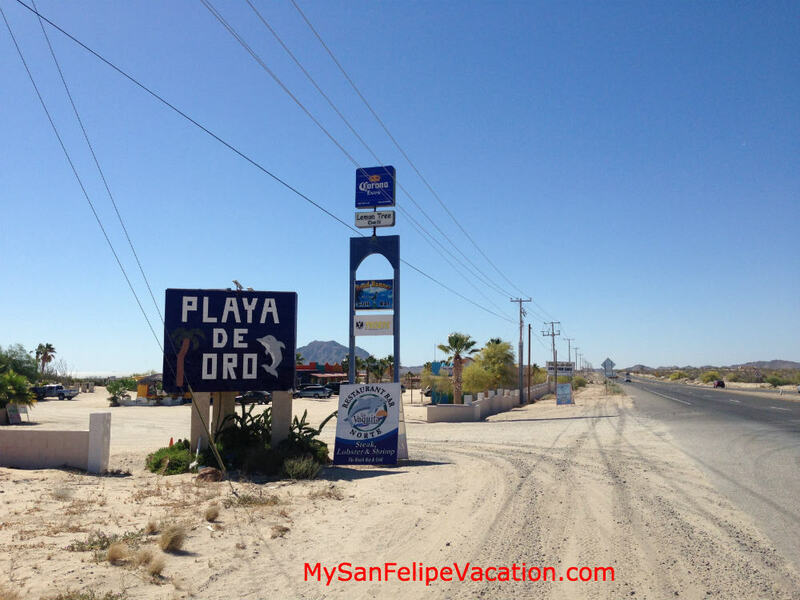 So you have reserved your San Felipe vacation rental home and need directions to San Felipe. Our easy to follow directions should get you to San Felipe in no time. We are located in 'Playa de Oro' community at KM 179 along San Felipe - Mexicali highway 5. From this office, we serve all of San Felipe. We request all our guests, regardless of property or community you are staying, to stop by and check-in at KM 179. From the US, you need to get to Calexico, California. You can get there via San Diego on Interstate 8 East or from Yuma, Arizona on Interstate 8 West to the Highway 111 exit. Take Highway 111 south to Calexico and the Mexican border. There are two crossing points into Mexico from here. See the following instructions, Driving time from the border to San Felipe is approximately 2 to 2 1/2 hours. From El Centro: Go east on Interstate 8 to the Highway 111 exit. Go south on Highway 111 to the border. Go through the border and bear right. After approximately 500 feet turn right for San Felipe. Go straight on this road through Mexicali (Major intersections will have signs for San Felipe.). This becomes Highway 5 which you stay on until you reach San Felipe. Go east on Highway 8 to the Highway 111 exit. Go south on Highway 111 to the third light (Highway 98 or Truck Route 7). Go east on Highway 98 for about 7 miles until the sign showing the border crossing. Turn right and proceed up and over the cloverleaf and into the border crossing. RVs are to follow the signs for passenger cars. Take Highway 8 west and exit at Highway 98. Go west on Highway 98 for about 16 miles. At the traffic light go left and proceed up and over the cloverleaf and into the border crossing. Once through the new border crossing you will come to a "T" where you will make a right and proceed west along the border boundary to the first stop sign. There you will go left onto Calzado Manuel Gomez Morin (Morin Blvd.). Continue south on Morin through seven traffic lights, passing the Sony plant. Turn left onto Highway 5 going south. San Diego/ Tijuana border crossing: Drive south on the Mexican Highway 1-D to Ensenada. Then take Mexican Highway 3 south to Mexican Highway 5. Go south on Highway 5 which ends in San Felipe. This route takes you straight across the Baja Peninsula. It is 150 miles from Ensenada to San Felipe. You will pass through two or three Mexican Army checkpoints where your car may be searched by the soldiers. They will ask you your final destination. At about kilometer (KM) 59 you enter the river area and construction zones. You will go through the little town of El Mayor. At KM 74 you will enter "the barren wasteland" which is the dry lake bed. Continuing on at about KM 96 you will enter a small mountain area with winding roads and sharp turns. Be careful here because drivers here sometimes make wide turns. At about KM 105 is "La Ventana" which is not the same La Ventana del Mar of El Dorado Ranch. You are now at the halfway point between Mexicali and San Felipe. Continue on to KM 114 where you will enter another winding mountain area and barren wasteland. At KM 141 you will see a road to your right which is Highway 3 to Ensenada. Keep going straight on Highway 5. At KM 142 you will come to a military checkpoint where you will be stopped. They speak very little English. You may be asked to get out of your car which they may want to check. (Ladies, take your purses with you.) Step out of your vehicle and stand next to it. They are checking for guns, drugs, etc. After checking they will tell you to proceed.